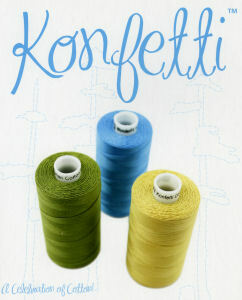 WonderFil's newest Konfetti is a traditional favorite reborn. The long staple Egyptian 50wt cotton is double gassed and mercerized to perfection. These special processes along with its soft finish will help your quilting reach a new level! Scroll to see all of our available colors!